Home » All white goods Articles » Washing Machines » Buying Washing Machines » Are Samsung Ecobubble washing machines any good? The short answer is that some models seem to be, but according to Which? at least one is not. Samsung have created a new technology for washing machines called EcoBubble, which they claim, “improves wash performance, reduces energy consumption and saves money”. How does it work and what are the main claims? In plain language, they mix air bubbles in with the water and detergent which they say gets detergent into the fabric 40% faster allowing lower temperatures to achieve good results using 70% less energy (at 40 degrees). It sounds impressive, and clearly any figures quoted will be provable in some way, but I’m always sceptical of percentages without context. So when I see percentages quoted like this I immediately think, 70% less energy than what? And what does the 70% equate to in actual money? We all know 70% is very impressive, but 70% of a pound is nothing to get giddy about. Potentially, the implication most people may take is that it uses 70% less energy than all other washing machines, but does it? The Bosh claims to cost only £21 a year in energy to run. So being 70% cheaper than that makes it £6.30 a year – which can’t be right, no washing machine costs anywhere near as little as £6 a year to run. 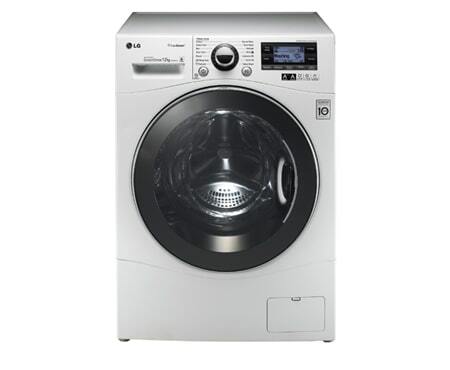 According to the specs on the Ecobubble 7Kg washing machine, it costs £25 a year to run – which is more! So 70% less energy consumption doesn’t look so impressive when I can already see a rival washing machine without the ecobubble which costs even less to run – and it was the first one I looked at. No doubt there are some tests which will back up the 70% claim but it clearly doesn’t equate to being 70% cheaper to run per se. Also, what does 40% faster mean in real terms? 40% faster could mean just over half a second instead of 1 second for example, which isn’t remotely significant. The point is, percentage figures are meaningless without context but they are always used to impress in adverts, so be careful what you assume from impressive looking percentages. The ecobubble washing machine I’m currently looking at does wash 10 minutes faster than the same Bosh WAE24490GB washing machine, which is quicker, but not significantly quicker to me. However, the ecobubble takes 20 minutes longer to wash on the Time Easy Care cycle than the Bosh, so it’s only faster under specific circumstances, or maybe on just a few programmes. Out of the 5 ecobubble washing machines reviewed by Which? so far some of them are reportedly very good at cleaning but one model was found to be so poor at cleaning that they gave it a Don’t Buy icon. To be fair it’s probably an older model, possibly one of the first. Ultimately most of the reviews say they wash well and relatively quickly, how much of that is down to the bubbles is unclear because many washing machines without ecobubble also have fantastic cleaning results and are Best Buys, so the bubbles aren’t necessarily some new discovery set to revolutionise washing machines. It does seem that there is something in the bubble system. The best advice is to check out Which? reviews on any model you are interested in. I suspect the Ecobubble may mainly be useful at reducing wash times on low temperature washes so if you are into washing at really cool temperatures it is worth looking into, but choose your model carefully. I had that model of Samsung that Which gave a don’t buy – I have only just found this out now from your article. This model was actually the top of the range in the eco bubble range; it is a 12Kg load machine, recommended retail price of around £800 to £1000. I never had an issue with it’s cleaning, however I did have MASSIVE issues with the machine. I bought the machine in May 2013, and 7 months in, it had a fault where the machine would stop turning the drum mid cycle; it kept trying to turn, then after about 5 mins of this, it failed and started flashing up E3 Motor Error Fault. Engineer came and ran it through some tests and said it was fine. Then the fault happened again, so engineer came to replace the motor and brought the wrong one, so came a couple of days later and replaced the motor. Fault then happened again, so this time was told it was the PCB, so engineer came again to replace and brought the wrong one. Samsung (after a lot of toing and froing) took the machine back and refunded me (the retailer went bust 2 months after I bought the machine, so could not get any help from them). It was an awful experience, and this was all between December 2013 and January this year, so as Christmas, we had to run out and buy a temp machine, so had 2 washers in laundry room, (the new one bought and the Samsung). I did feel really let down; I understand with any electronic, there is always going to be faulty ones, but still. Which presumably have very strict wash tests. I think the problem with brands like Samsung is that they rely on third party companies and engineers to do their guarantee work and don’t have their own service network like other more well established brands sold in the UK. Unless things have changed, it was always difficult to get technical information and spares for them (as well as LG and other brown good manufacturer’s washing machines) compared with the specialist white goods brands. To me, one of the main reasons I wouldn’t buy one is the reputation for aftersales is so relatively poor. Yes I should imagine they do put the machines through the extreme; to try and cover all eventualities of use. I think you’re right with regards to them not having their own service network. We had an independent repair engineer for the machine (not an employee of Samsung) and when the machine was collected for refund; it was done by a logistics firm. At first, I vowed I would never buy another Samsung product, I have sort of calmed down now; however I am still very wary, and if there is another option, I will seriously look at them first. The issue I have (I could be wrong here) its that companies manufacturing is closely linked to each other, so appliances are made in the same factories, have slight changes and then are badged with a particular brand, so ultimately, no matter which brand you’re going for, it’s all the same. No LG & Samsung are not linked. They are arch rivals. They both do similar marketing hype, but no one makes up rubbish marketing ideas as much as Samsung. Like my old netbook with the “silver nano” keyboard? (supposedly had bits of silver in the keyboard to do, umm.. something). Every Samsung product has about 6 stickers side by side with some stupid hype name on it “eco-bubble” “silver nano”, “xHd” “super-xc2” (i’m making them up now, like I’m sure Samsung’s marketing guys do). The bottom line is they are affordable and somewhat stylish but as far as I’m concerned they’re unreliable tat. (My samsung just broke down too). Hello Carl, I think the problem with these companies is that they built their business and reputation in the brown goods market where innovation is key. Although there is always room for innovation in white goods there is far less requirement for what I see as overly fancy and completely unnecessary innovation. I would much rather see quality reliable and repairable products that function properly than ones full of fancy gimmicks which can’t be repaired very well. I bought a Samsung eco bubble 12 kg in April 2013, it cost £700. It has just broken down one week after the guarantee ran out. God knows what it will cost to get repaired. I have never been impressed with it, it didn’t clean. I thought spending a lot of money on a machine I would get a good machine, how wrong I was. I am gutted. I only live on my pension so this was a mega amount of money to me as it is to most people. Hi Brian. If it broke down under 6 months then it is deemed to have been faulty when sold (unless they can prove otherwise) which breaches the Sale of Goods Act. The manufacturer has no liability (they didn’t sell it to you), only the retailer, so if you want to insist on an exchange you need to pursue the retailer. Sadly the retailer will usually ask the manufacturer if they will swap it who will presumably say no, the retailer will then most likely say there’s nothing they can do but this is not necessarily the case – especially if it’s a serious fault. However, the Sale of Goods Act also states that a retailer can refuse to replace an appliance if doing so is disproportionately more expensive than repairing it. So for example if a washing machine breaks down after 5 months but it can be fixed in 10 minutes at little cost (say a small part or just a loose wire) then it would be unreasonable to expect them to go to all the trouble and expense to collect it and install a new one. This is part of the Sale of Goods Act. It all depends on what’s gone wrong, but this issue affects all brands of appliance. I have a comprehensive article here – Sale of Goods Act for faulty appliances? Laura: Sadly this is something I’ve been warning about for years and most people don’t yet realise the truth. You can pay £700 for a Miele washing machine which is the highest quality washer you can buy in the UK but for the same money you can buy a fancy washing machine full of features which isn’t substantially better build quality than washing machines half the price. It’s a bit late now but my article here explains it all – Is a more expensive washing machine a better one? I’m not trying to say Samsung are very poor quality, but they are one of the many manufacturers who sell expensive feature-packed appliances where the main reason for the expense is not much higher build quality but more “features” such as bigger drums, bubbles, faster spins, “style” etc. There are also several other related articles to read at the base of that article. I purchased a Samsung ecobubble and it lasted just four weeks! Water didn’t drain and the door would lock. When it eventually unlocked it drained with the door open. Initially reluctant to replace it with the same I did on deciding perhaps I was just unlucky. Second one didn’t work either and is sat waiting a collection. I bought a Bosch in a hurry as I needed a machine this, is working fine as did my Indiset but only lasted five years though I am told this is good. There are a few different mechanisms that act to clean clothes in a washing machine. Firstly, the detergent is chemically designed to facilitate water and oil to bond and to make water “wetter”. This allows the water to remove greasy stains when combined with the second mechanism: mechanical action. The mechanical action is important because it gets the dirt out from inside of the clothes fibres. In the old days, people used to bash their clothes on a rock or use one of those corrugated wash boards to achieve this. The modern front loader is far more gentle of course. The final mechanism in modern detergents is via enzymes which also act to break down and liberate dirt, especially stains. With modern detergents, the use of hot water is a double edged sword. It enhances the action of the detergent on greasy stains but it also kills the enzymes. I have just seen a youtube clip of the bubble wash in action. I will not buy one because I do not believe it will wash effectively. I observed the drum turning back and forth with the clothes effectively suspended in a foam. This means that one crucial element of clothes washing is missing: mechanical action. Indeed most detergents for front loaders are designed to be low-sudsing to avoid this problem of foaming entirely. There are only two out of three washing mechanisms being employed by the bubble wash. You may as well just soak your clothes in a bucket of detergent, then put them on the rinse cycle. To me, it appears as if the bubble wash is entirely a gimic at the expense of effective cleaning. Hello Al, without a full understanding of exactly what the science behind them are I agree it seems a bit gimmicky. However, Which? have tested later versions and found it washed very well. But of course so do many many other washing machines without any “bubbles”. what a nightmare!! I’m having so much trouble getting my Samsung 12kg machine repaired. It broke down two weeks ago,the drum started to jolt and wasn’t turning or spinning,domestic and general sent out an engineer to fix it,he told me it needed a new motor and pcb contro but I was told the next day that it couldn’t be fixed as the parts were too expensive,so i decided to ring Samsung myself,the operator was a nightmare as she couldn’t understand me,she gave me a number for a service centre who could come out and fix it as the motor has a 10 year warranty,after I rung the number but the number didn’t exist,I then rung back and she gave me 2 more numbers,I proceeded to ring them but to my disbelief 1 number was our local sainsburys supermarket and the other was a local mobile phone shop,that same day I decided to ring the company know how(currys) who sent an engineer out yesterday he told me that it definitely was the motor and pcb control he then went to see if he could get prices for replacements and to his shock he found out the pcb control was obsolete and no longer available,the engineer told me not to give up and to go to sale of goods act to get advice,how can a machine be just 2 1/2 years old and can no longer buy parts to fix it! Does anyone have any advice on this or on SOGA? Hello Amanda. The door glass in a washing machine is usually designed to keep the clothes away from this area but if socks are by any chance very small children’s or baby socks I would recommend putting them in a washing net as they can be difficult to stop from getting under the door glass. At the very least I would always place them in the back of the drum first to try and keep them away from the front. Also, make sure you are not overloading the machine which would cause the laundry to just turn in one big lump and some small items could slip under the door glass. It’s always possible for a small item to slip under there and get stuck but this should be a rare occasion if loaded properly. If you are loading it properly and still having problems you would probably be better complaining to the retailer. I can’t comment on their latest machines, but our Samsung washing machine has lasted ten years with only a belt replacement required. It is now wearing out, but ten years of heavy use isn’t bad. Obviously if current models are not as good, then they may no longer be worth it, but based on the prices a Miele is twice as expensive for only at most 50% more hours (using their rating of 10,000 hours, and my estimate of how many hours our machine has racked up), plus the fact that I am comparing a smaller Miele with a bigger current Samsung. Most of the fancy features are things I ignore, but being able to do fewer, bigger loads of washing would be helpful. It is good that you’re raising these issues though and I do wish that manufacturers would be honest about the quality of their products. WE bought a Samsung ecobubble washer over a year ago and couldn’t be happier. It performs extremely well–better than any machine we had before and is very quiet and so far maintenance free. We are happy campers. Has anyone had a problem with the Samsung ECO BUBBLE machine door? I have had mine for less than a year and debris has gone behind the Perspex facia. I have e mailed Samsung a few times and have basically been told to call out an engineer and if they deem it to be my fault there will be a charge? It was even suggested I did not clean it enough????? I can’t clean it because I can’t get to it? I had my Samsung Eco bubble 12 kg machine for just over 2 years. In that time it broke down three times, first time after one year, then after 6 months and then again last week. The problem was the circuit board (?) I really liked the washer when it did work, as it was big and efficient, but the amount of weeks I waited for the repair ruined it all. I live in Norway, and by law appliances can only be repaired twice for the same fault, so today I changed it in for a new Miele. I got a full refund for it, and I am pleased with the shop I bought it in. I will not recommend getting a Samsung washing machine ……. I had just bought a brand new Samsung WF80F5E0w4w and it failed from the start with water not draining and coming with Error code 5E. I never bought Samsung WM before but seeing their 5-year guarantee persuaded me to buy on-line. However dealing with Samsung customer service which is based in Manila and through Currys was a pain. I won’t buy one again after this experience and would go back to Bosch.